Interested in knowing more about Beyond Fossil Fuels Grounding for Action meetings? Want to share what they do with your congregation or community? Ecofaith Recovery’s Beyond Fossil Fuels Initiative is featured on “Brethren Voices” May program. Ed Groff and Brent Carlson, produce a monthly public access show that is distributed to 30 locations around the country, called “Brethren Voices”. The show centers around the work of Church of the Brethren people or “things that Brethren care about” – peace, justice, climate, disaster recovery, service. 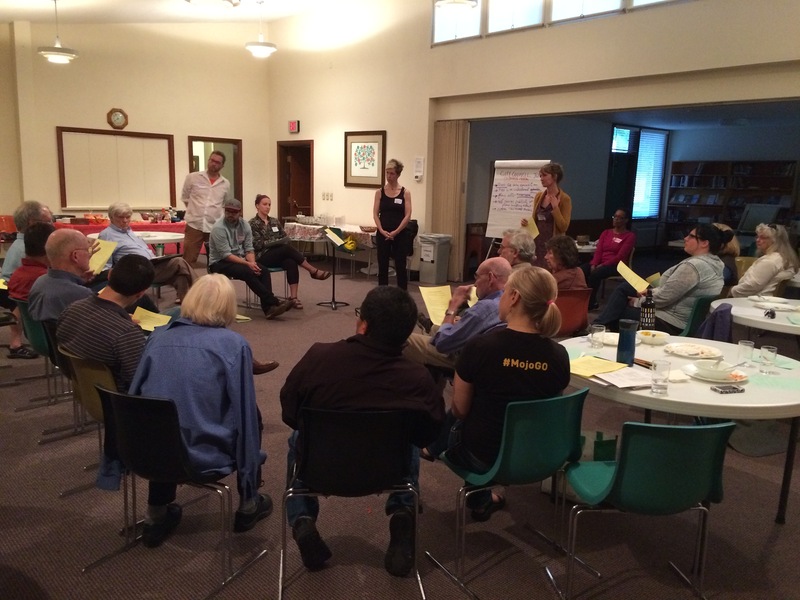 Ed and Brent attended a recent Grounding for Action meeting, and they got fired up about EcoFaith Recovery and Beyond Fossil Fuels work! Beyond Fossil Fuels, Ecofaith, and the Pembina organizing effort is featured in their May program of “Breathen Voices”. The episode is now on Youtube click here to view it! People included in the panel: LaVeta Gilmore Jones, Solveig Nilsen-Goodin, Chris Bekemeier, Craig Heverly, John Rodgers, and Matt Guynn. Beyond Fossil Fuels Grounding for Action meetings – who, what and why they are, and how to connect or any combination of the above. Hope to see you at the next Grounding for Action!